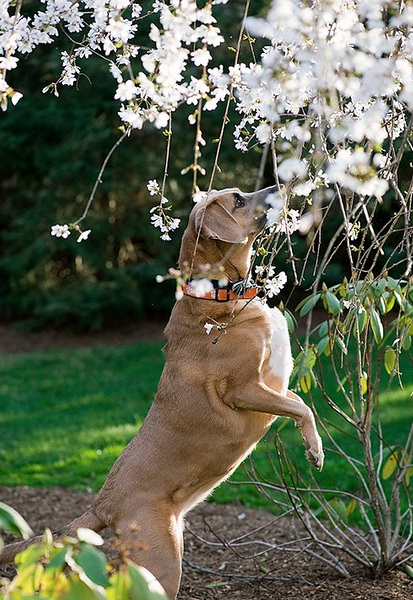 We are huffing and puffing our way towards spring here in these parts. Winter is hanging on for dear life, and March has about 48 hours to get its act together and go out like the lamb that it is supposed to be at this point. My barbecue grill still has a 2 inch wall of snow all around it, so I can’t in good conscience send the Southern husband out there yet to make anything vaguely summery-tasting, and frankly, it’s still so chilly that I am still jonesing for winter comfort food anyway. So here’s my effort to meet halfway between warm weather food (sandwiches!) and cold weather food (chicken pot pie! ), and I gotta tell you, it may be my new favorite transitional supper. The insides are classic chicken pot pie ingredients. Tender shredded chicken, carrots, celery and peas, all mixed up with a seasoned cream sauce. I used pre-cooked chicken and as a result, this part was ready in about 15 minutes or so. In the meantime, I warmed up the rolls that are playing the part of the pot pie crust. I used nice soft brioche rolls…you can use anything you like, so long as it’s not too crusty. You want to be able to take nice easy bites, because nobody likes to battle with their sandwich. I tear just enough of the insides of the bread out to make a nice little hollow on the top and bottom. I want the filling to be the star of the show here, and this gives it a nice little well to nestle into so it doesn’t squish out when you take that first bite…and it also lets you sneak a little more filling in there. And that, my friends, is all there is to a chicken pot pie sandwich. Make a wish on that first bite that we wake up tomorrow morning and see THIS. The spring flowers, anyway. Maybe not the sniffing hound dog. Everyone THINK SPRING! 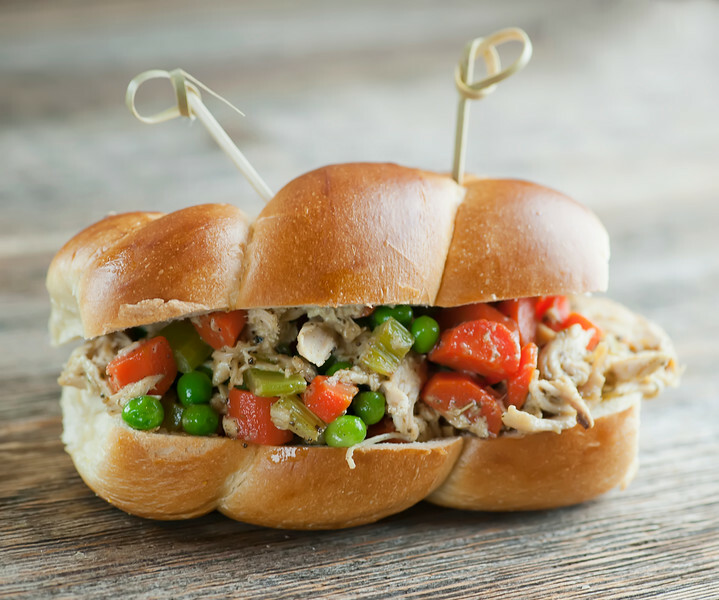 Chicken pot pie transforms itself into your new favorite sandwich in this easy recipe! Melt butter in a deep skillet or saucepan over medium heat. Add carrots and celery and saute until just tender, about 5 minutes. Add cream and poultry seasoning and simmer another 5 minutes until slightly reduced. Stir in chicken and peas and season to taste with salt and pepper. Heat rolls in the microwave or the oven until just warmed. Cut in half and scoop out a little of the bread insides until you have a little hollow in the top and bottom of each roll. Divide the chicken filling between rolls, pop the top on and serve. This looks amazing!! Looks like the perfect sandwich to curl up on the couch with while praying for spring! What if you put it in a croissant? Sounds scrumptious! Must try! What a good idea, these look so amazing! Saving for later!